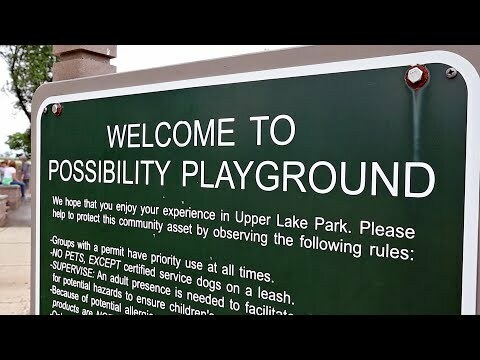 Possibility Playground is more than just a great playground on a Great Lake. It is an inclusive playground that allows children with disabilities to play side-by-side with their able-bodied peers, creating an environment where understanding, empathy, and acceptance can flourish. The playground is partnering with the entire community to raise funds for much needed repairs and improvements. A key enhancement is the addition of an artistic Nessie (friendly Loch Ness) at the entryway to stimulate young imaginations. Artist Marina Lee is working with students at the Milwaukee School of Engineering on the structural design of Nessie. A "Night with Nessie" Gala & Auction on April 6th, 2019 will raise funds for the community built addition. Funds raised in this challenge will help us bring Nessie home and install enhancements at the playground. Your support is crucial to making this happen.